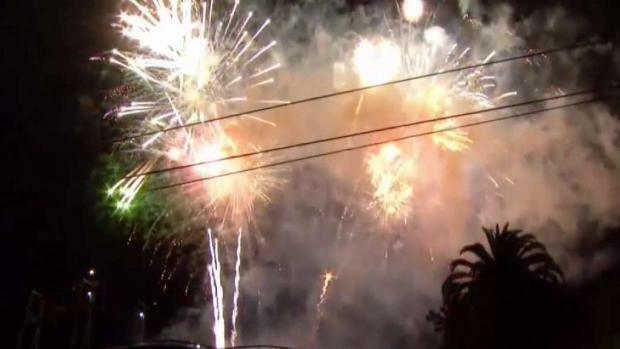 Fire officials in the South Bay urged residents to resist the temptation of illegal fireworks and attend one of the many public fireworks shows available over the July Fourth holiday. California's Great America is one of several options for Bay Area residents to consider when it comes to professional pyrotechnic salutes to Independence Day. In Santa Clara County, Gilroy is the only community that still sells so-called safe and sane fireworks. And sales are limited to Gilroy residents who say they’ll set them off safely outside their homes. Rich Salazar, president of Gilroy Pop Warner Football, which runs the fireworks stands, said the rules are clear which parts of the city are open to fireworks "because certain areas of Gilroy are not." 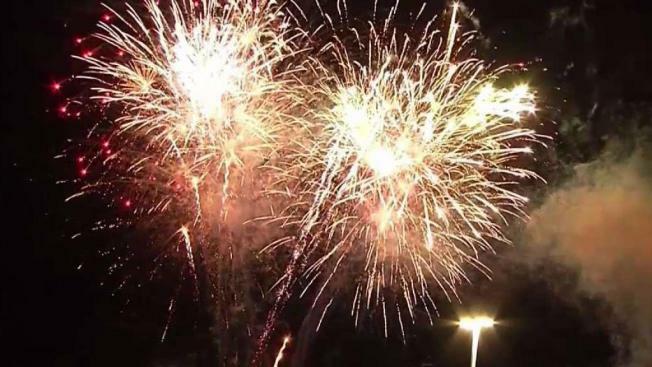 Fire officials in the South Bay urged residents to resist the temptation of illegal fireworks and attend one of the many public fireworks shows available over the July Fourth holiday. Chuck Coppola reports. The fireworks stands raise on average, around $12,000 to $20,000, mostly for Gilroy’s youth activities. In terms of keeping tabs on those using illegal fireworks, San Jose just updated its online reporting tool, making it easier for people to post the address of where it's happening and even add a picture or video. More than 600 reports were filed last July. As of Monday night, the city had already received 100. "We will follow up with an administrative citation if all the required documentation is there," city spokeswoman Cheryl Wessling said. Fines range from $500 up to $1,000. Of those turned in on the city website last year, 16 people were cited. "Even if people didn't get a citation, if we had the contact information, we sent them a warning letter to let them know hey, you sound like somebody that might be using some fireworks, we want to remind you that they're illegal," Wessling said. Still, people will continue to launch illegal fireworks. reminding people all fireworks are illegal will be a deterrent. "It's like a war zone," she said. "My husband, who's seen plenty, says it's like a firefight. The M-80s, the M-1000s, the whole house will shake, and then you can't find out who set them off." Meanwhile, firefighters too are hoping more people watch the big public shows rather than an illegal show in the hills or a public park. "We’ll probably be busier in the Bay Area with grass fires, which can spread quicker than timber fires and that sort of thing in the higher country," Cal Fire Battalion Chief Mike Martin said. Fire departments are increasing staff through the Fourth of July. Cal Fire has every firefighter in the state on call as well.